The Black Sea region is a dynamic and complex area in which many national and international actors have key interests, including Russia and the US. The European Union stretches to the sea’s western coast where it meets former Soviet territory as well as EU candidate Turkey. Regional tensions include those over NATO enlargement, a US anti-ballistic missile system, access to the Black Sea, democratization, spheres of interest and the conflict zones of Abkhazia, South Ossetia, Nagorno-Karabakh and Transnistria. In addition, the region’s close proximity to the Caspian basin offers the prospect of alternative energy resources and routes to western states. 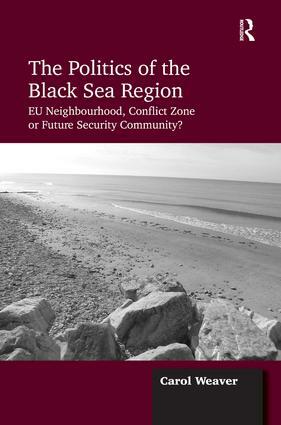 The Politics of the Black Sea Region: EU Neighbourhood, Conflict Zone or Future Security Community? explores and examines the many diverse political, security and economic interests that affect the region and the possible outcomes for it. By reviewing the wider history and examining the political systems and policies of the Black Sea nations and organizations as well as analyzing current tensions and future trends, it provides an invaluable, comprehensive and unique political guide to this fascinating area. Dr Carol Weaver is a part-time lecturer and tutor in the Department of Politics and International Relations at the University of Leicester, UK. She is widely published on the European Union and the wider Black Sea region and is also a member of various political committees and think-tanks which advise the European Union and others on EU enlargement, the Eastern Partnership, the Nagorno-Karabakh peace process, the South Caucasus and the Black Sea region. Her most recent academic publications include The Black Sea Region and EU Policy: the challenge of divergent agendas (co-edited with Karen Henderson), published by Ashgate Publishing in 2010 and ’Black Sea Regional Security: present multipolarity and future possibilities’, European Security, 2011.